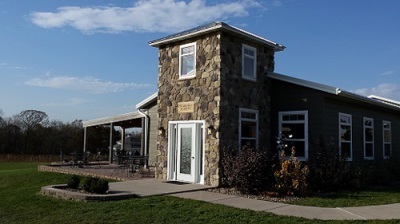 Branches Winery features award winning wine served in friendly tasting room. Enjoy alfresco on patio or deck while taking in gorgeous views. Appetizer and wood fired pizzas menu; lovely banquet hall; ongoing winery events. Stop by Fri & Sat 1 - 7 to shop for your celebration & enjoy $1 off glass of wine. At Branches, it's all about the wine! This charming estate winery produces award-winning wine from their extensive vineyard of cold-climate grapes. Tasting Room re-opens Saturday March 30, 2019. See WINES tab for year-round online ordering, and ask for Branches' wines at La Crosse area retailers, restaurants, and bars. Our portfolio includes cold climate wines are produced from 10 varieties of grapes, plus other local fruits. Wines range from dry, oaked reds and crisp whites to luscious, sweet, table and dessert wines. 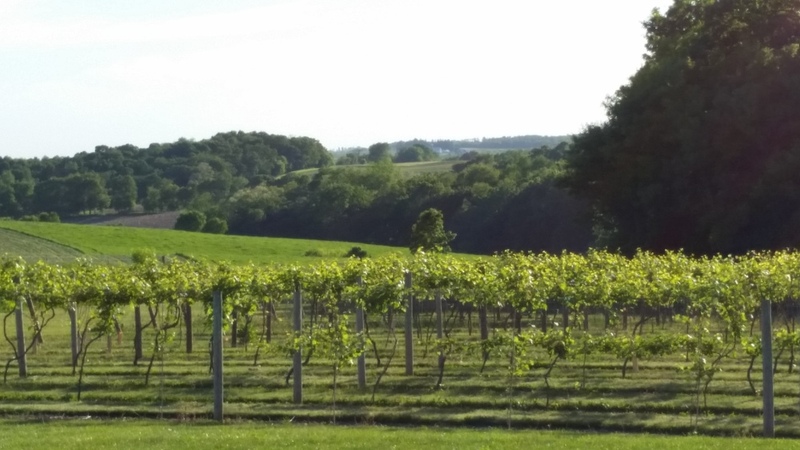 We also produce wine from grapes sourced from domestic and international vineyards. Now you CAN sip wine anywhere! 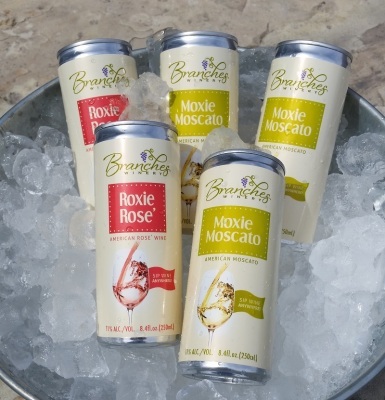 NEW: Roxie Rose' and Moxie Moscato in single-serving cans. Great for enjoying a fresh, delicious glass without opening a bottle. Also terrific where glass bottles are not allowed. Available at Branches and local stores - sold in boxes of four 250ml cans. Come and sip a while!